Pacenotes Magazine is the UK’s finest rallying magazine around and a complete read for any Rally car fan. Buy a single copy or subscription to Pacenotes magazine. Published Monthly, it offers everything a Rally reader needs. With up to date news from around the UK and Ireland’s Rally circuit, from club level to national events through to international level. 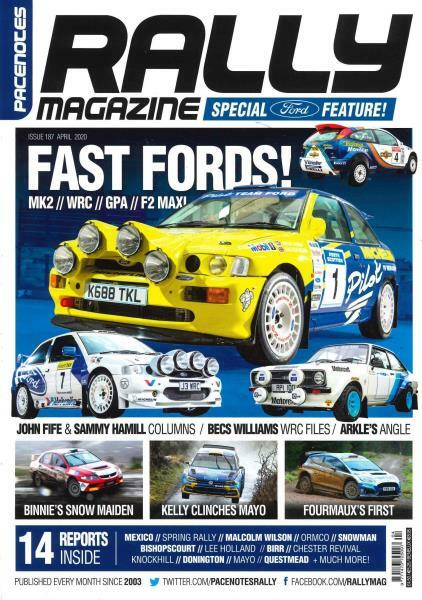 Along with interviews, reviews and specialist features on the Rally car and racing. It is written for Rally fans by Rally fans, who share the same enthusiasm as its readers, whilst offering expert advice, opinions and a whole lot more.